When deciding on where to have their wedding, many couples choose the Outer Banks of North Carolina because of its natural beauty. Picture yourself looking around at the sun, the sand, and the sea. To your right and left, there are your family and friends. In front of you, you can see your future. Yes, it is finally your wedding day! The day that you have dreamed of your whole life is here, and you have chosen to tie the knot on the Outer Banks of North Carolina. 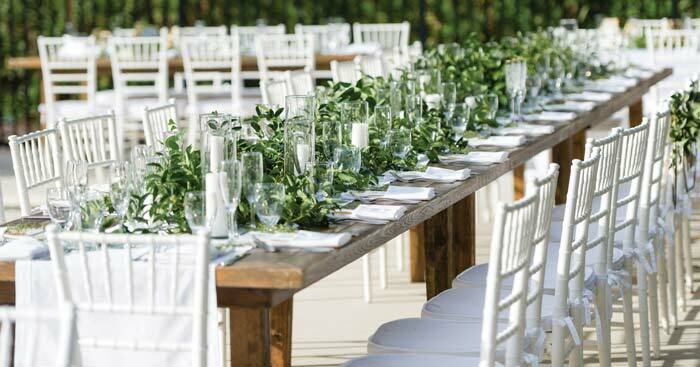 A blissful island, that gives you an assortment of diverse options all for setting the stage on your wedding day! Your choices can range from a fairy-tale like ceremony held at a historic landmark, to a more simple occasion allowing the complete natural beauty to decorate your special day. Let’s face it, it doesn’t get anymore scenic than the stunning, picturesque Outer Banks. When planning your wedding day, there are a few questions you should start by asking yourself. What does your budget look like? How many guests will you want to invite? Will the ceremony and reception be held indoors or outdoors? Will you have a theme and if so, what will the theme and decorations look like? After deciding on some of these key factors, what once seemed like a jigsaw puzzle, will soon begin to piece together and the end result will finally be within reach. Try to fully envision exactly what you wish your day to look like. No matter your preference, whether it be elegant or effortless, the Outer Banks is capable of ultimately making it whatever vision you have built up in your mind. An Outer Banks wedding is a momentous and meaningful event for everyone that is involved. Your guests will love the warm and cozy small-town feel, and you will love the fact that your most cherished day was celebrated on an unforgettable island of paradise. When planning an outdoor event, you will want to decide on what type of structural equipment to have. Keep in mind that Mother Nature could have very different plans than you do for your wedding day, so be sure to have a ‘Plan B’ that covers your entire day, from start to finish. Tents, gazebos, and canopies are just a few of the many rental options. 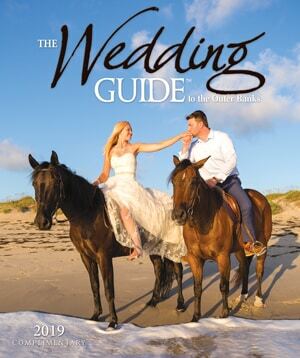 The Outer Banks has some amazing wedding rental companies and can help you work out any concerns regarding weather that you may have. Having a backup plan is crucial especially if any part of your day will be spent outdoors. Weather can be unpredictable on the Outer Banks (think rain, wind, and sand), so deciding to use a tent for your outdoor ceremony and/or reception would be idealistic. Aside from using a tent for the obvious practical reasons, there are a few different options from which you can choose. The most popular style are frame tents and pole tents. 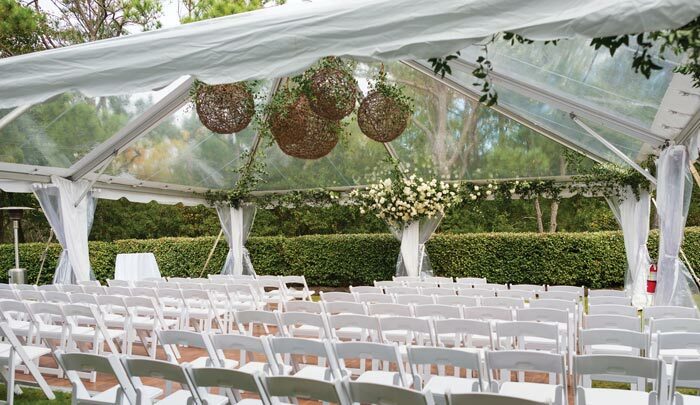 There are tents with clear tops that allow for a natural light setting, and there are all-white tents that present a more elegant appearance. Be sure that your tent comes with enclosure options, so that once again you are prepared if Mother Nature decides to appear. 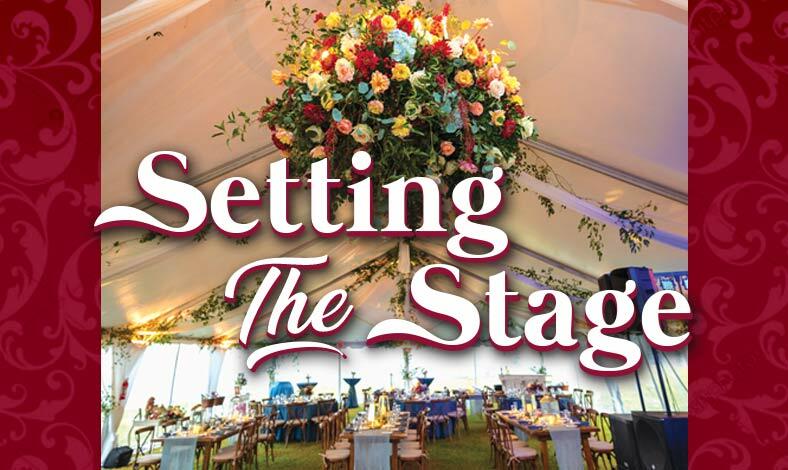 Depending on the size of your wedding and the number of guests, you may want to consider using a larger tent for the ceremony and then multiple smaller tents to enclose the seating areas, dance floor, walkways, etc. This can allow for a more spacious and comfortable venue for your guests to freely move around. Tables and chairs are another major factor when planning the environment inside the tent. The style of party you are wanting to host is key and will help you to decide exactly what the seating will look like. If you are going for a more low key setting, arranging bar stations and stools to look more like a “cocktail party” can be unique. If you are going with a seated or a buffet dinner, you will need the exact number of tables and chairs to accommodate each one of your guests. No matter which type of tent you choose, the many different styles of decorating it are endless. Greenery, string lights, floral garlands, and sheer fabrics are just a few of the many options you have to make your wedding tent shine and sparkle. After all, the tent is the one main feature that will house your entire wedding, and will hold all of the day’s special memories inside its walls. Beaches of the Outer Banks have become a very popular choice in destination weddings. With that being said, each town and its own beaches come with different rules and regulations. Certain areas may require you to purchase a permit if you are looking to get married on the beach. Be sure to do your research, or you can always hire a wedding planner to sort out all of the logistics for you. Just remember, you can’t exactly pick your weather but you can always be well prepared for it! With a background as spectacular as the deep blue Atlantic, there really isn’t a need to go overboard with your decorations. Allow the natural side to play a major role in the theme of your big day. Having a beach wedding can allow for an effortless, yet elegant look. Take for example, an Arbor or an Arch. 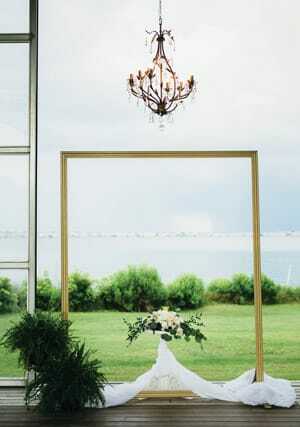 Either approach can provide an incredible center piece or focal point for your ceremony. You can decorate it any way you choose- flowers, fabrics, shells, sea glass, etc. Maybe even consider building your very own arbor or arch out of driftwood from the sea. Hanging greenery or even over-sized wreaths versus brightly colored floral is a very different, non-traditional option. Allowing the sunset and some candles to light your surroundings can be another simple approach if you are having an evening ceremony. Just be sure to place the candles inside of hurricane globes to keep them from blowing out in the wind. How you choose to use chairs can also be a way of adding some ‘glam’ to your decorations. Dress up chairs by adding covers or embellishments to all or just specific seats. 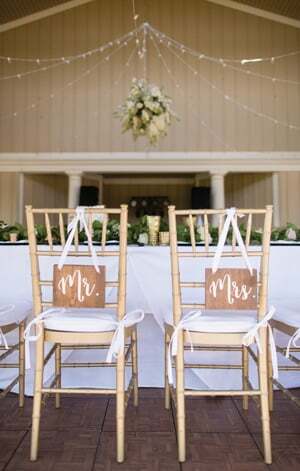 Consider adding wooden signs to the back of the bride and groom’s chairs, that read just that- “bride” and “groom”. Add some fabric drapes or floral strings to other chairs to add a bit of flare throughout your setting. 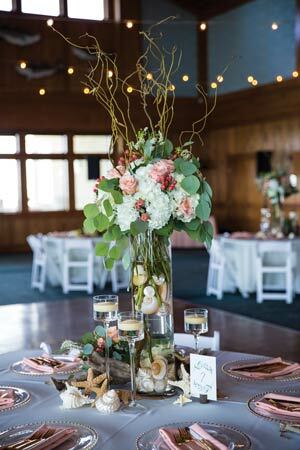 Other decorations that you can incorporate, the ocean already has to offer- seashells, sea glass, driftwood, starfish, and sand pebbles. Have fun with your decorating, but also allow nature’s essentials to come into play to highlight your setting. Having signs at your wedding is an important detail, one that can also be fun. Whether the signs are there for sharing menu items with your guests, telling your guests where to sit, or simply just being used for unique decorating, wedding and hand-lettered signage is now a rising trend. Signs are a unique way to add personality and fun style to your wedding day setting. Deciding to use signs is also an easy way to rid yourself of some stresses and to stay organized, all the while sticking to your budget. There are lots of free internet tutorials that can help with making your own signs. Having a structure that resembles an altar can be a very important, personal, and meaningful component to some couples. The altar is the epitome of what the wedding embodies and why it is occurring in the first place. It is the exact physical location where you will be deemed husband and wife, and that spot will forever be ingrained into your minds and onto your hearts. It too holds a very deep and powerful religious meaning. It stands as the place where a man and a woman will presently become one union. No matter how you choose to decorate your altar, keep in mind all the while of its great significance, and the beginning of a journey that it represents. Using different lighting styles to illuminate your wedding is quite the trend these days. Lighting has vastly evolved from the days where you simply needed to brighten up a reception building and to setup the dance floor. Fast forward to the present day, brides are using lighting to set the mood and create a very specific ambiance, while showing off the wedding theme. Using creative lighting approaches can also aid and benefit your photographer to get those perfect, romantic shots. Lighting options are endless; consider using string lights, floating lanterns, chandeliers, bistro lights, hanging candles, and luminaries. 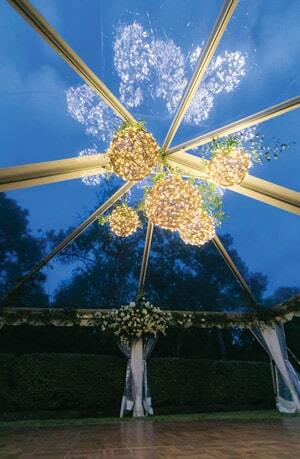 You could even use Edison style lights to outline and radiate the bride and groom’s pathway. Another new fad is to decorate your venue with oversize light-up block letters. You can use these to either spell out certain phrases that describe the bride and groom, or as a joint monogram for the newly married couple. This trend could be fun with thinking of cute sayings such as, “I Do” or “Mr & Mrs”. However you choose to light up your wedding tent, keep your theme in mind, and allow your creativity to flow and enhance your surroundings. Outdoor parties are awesome, especially when the weather is cool. However, I think guests woud prefer an outdoor activity with canopy than the one that doesn’t. It’s best to protect the head from too much heat or rain. Still, the weather shouldn’t stop a fun party!